Not in a million years had I expected this season to turn out the way it did. I wasn't a big fan of the ridiculous twist especially after the whole ordeal of Aida and the framework. That already was pushing every character to the extreme. 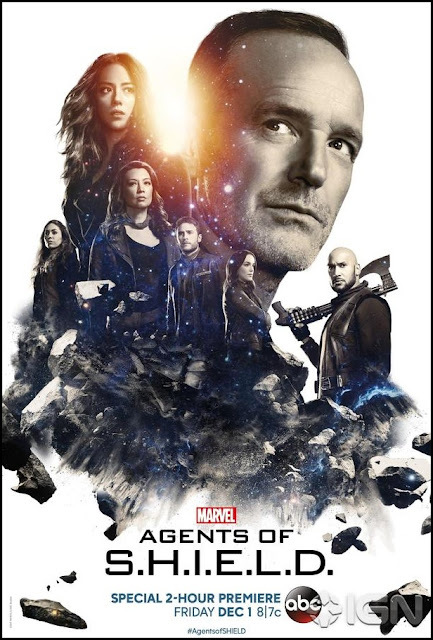 You would think that the agents of S.H.I.E.L.D. would at least get a chance to take a breather. But somehow the writers outdid themselves and managed to make me emote with almost every character in this season. This season starts out very dark and gloomy and stays that way until a certain character who was missing makes his appearance. Finally there was hope and resolve. Still the agents have a lot of obstacles and pain to endure before things starting to look a little better. I really liked how most of the twists and turns in this season have been a mix of the outrageous and most personal. We get to know a little more about the newer agents. But we also get to see characters we already know quite well from a different side. It is so refreshing to see this show taking chances with the characters and the stories and keep things super compelling. This season is filled with moments that make you gasp for air because of the awesomeness and tragedies displayed. Not every character was strong. Kasius for example was a stereotypical villain who bored me most of the time. His subordinate Sinara (Florence Faivre) on the other hand was creepy and menacing. She even had her own theme music. At one point it looked like things weren't what they seemed concerning her. That would have been phenomenal. Unfortunately it probably would make things a little too tense and dark. There is only so much one can take. So in hindsight I am glad they chose to keep things a little conventional. Another interesting character was Enoch. At first you don't know quite what to make of him but then soon you will accept what he stands for. Best part is you won't be able to predict at all where he is coming from. If for whatever reason you were a little disappointed with the earlier episodes of season 5 then fear not. When a certain character returns the show becomes an emotional thrill ride. As far as I am concerned this show deserves to go on for much longer. And yet it was close to getting cancelled yet again. I really wished people would give this show a chance since the writing has improved considerably since the first season.